We are at a turning point in human history. Artificial intelligence has – for the first time – fooled a group of humans into thinking that it too was humani. While this achievement opens up a number of opportunities for science, technology and even a better understanding of what it is to 'be human', it also allows for more sophisticated types online crime and attacks against citizens, businesses and governments alike. For many technologies, Korea leads the world in adoption and development. This is made possible by some of the fastest, least expensive and widely-available Internet infrastructure. Technology is now an everyday part of the average Korean's life; in business and leisure. However, this makes Korea both a growing target and host for all types of global digital crime. Much like technology adoption, Korea has also been ahead of most countries in attempting to combat cybercrime. Starting with a single cyber crime unit in 1997, protecting Korea's citizens from online crime quickly became an obvious need. This led to the creation of a “Cyber Crime Squad”, and eventually the Cyber Terror Response Center with more than 1000 investigators specially recruited for their technical knowledge and abilities. At this point, Korea had the most cyber investigators per capita of any country, and because of the forward-thinking “Special Recruitment Program”, also some of the most knowledgeable cyber-investigators in the world. However, cyber crime continues to grow rapidly, an even with knowledgeable investigators it is impossible to keep up. 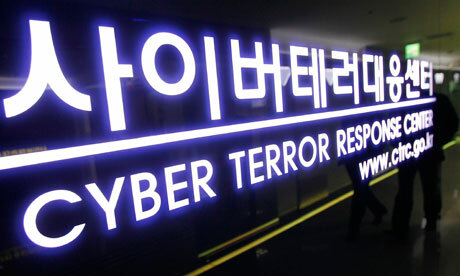 In 2014, Korea needs to again expand its cyber crime investigation capabilities if it wants to continue to effectively fight digital crime, investigate new and more sophisticated attacks, and prevent the digital crimes of the future. With the growing amount and sophistication of cyber attacks, there is no doubt that Korea needs a Cyber Bureau. It needs more dedicated, knowledgeable people looking at the problem of cyber crime both nationally and internationally. Unfortunately, Human Resources within the Korean Police are completely corrupt. Further, the Korean Police are too busy dividing themselves by schools or regions rather than remembering that they are all Police, all Korean. And finally, most Korean Police – much like the rest of Korean society – put their own life, their own career, their own promotions first. The result of these things, and much more, is that most people in the Bureau should not be there. Korea has lost years of cyber crime management experience by promoting those who have none, and is now completely under utilizing Police from the Special Recruitment program. 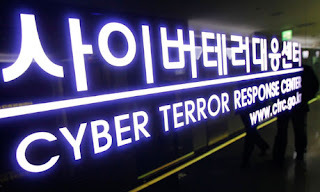 Korea needs a Cyber Bureau. But the primary purpose of the Cyber Bureau that was created is to create more promotion opportunities, not to fight cyber crime. The creation of the Cyber Bureau could have launched Korea's cyber investigation capabilities several years ahead. Instead, it is now five to ten years behind where it was.